Ratification of the Ballast Water Management (BWM) Convention by Morocco, Indonesia and Ghana during November 2015 has brought the convention ever closer to meeting the requirements for entry into force. 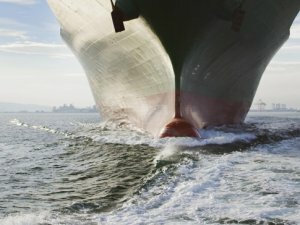 Forty-seven countries have now ratified the convention, substantially more than the 30 required, but whether the requirement for Parties to hold 35% of the world’s tonnage has been met is still being calculated. The Convention will enter into force twelve months after the tonnage requirement has been met. Tonnage figures are derived from data supplied to the IMO Secretariat by IHS Maritime & Trade. The data are normally provided to IMO twice each year, as at 31 December for treaty purposes, and as at 30 June for determining IMO Member States’ financial assessments. Those assessments are based, in part, on fleet tonnage figures supplied to IHS Maritime & Trade by IMO Member States, who have until October 31st each year to confirm their tonnage. Because of stringent IMO deadlines for determining financial assessments, those tonnage figures sometimes cannot be verified prior to submission to IMO. The compiled 2015 assessment tonnages, released to IMO’s Member States on 16 December 2015, contained some unverified data, but also revealed that the conditions for entry into force of the BWM Convention might have been met, by a very small margin. IMO was also aware that between June and November 2015, some Parties gained tonnage and others lost tonnage. In light of this, IMO Secretary-General Koji Sekimizu requested a complete verification of tonnage data as at the time of the deposits by Morocco, Indonesia and Ghana prior to determining whether or not the BWM Convention had indeed met the entry-into-force requirements. IHS Maritime & Trade has worked diligently to verify the tonnage figures since that request. The verification process has not yet concluded. The precise figures will be announced after the verification process is complete, which is likely to be early next year (2016). If the ratifications by Morocco, Indonesia and Ghana add sufficient tonnage, the BWM Convention would enter into force on 24 November 2016. Assessment tonnages will not be altered as a result of the verification, as per IMO procedures, and those figures will not be used to determine whether the BWM Convention has entered into force. Secretary-General Sekimizu again urges countries, particularly countries with large merchant fleets that have not done so, to ratify the BWM Convention so that it is widely accepted upon entry into force. He also urges the Marine Environment Protection Committee (MEPC), in spring 2016, to prepare a set of amendments to the BWM Convention to reflect all the agreements forged at both the IMO Assembly and MEPC during the past three years, so that such amendments can be adopted as soon as possible and implemented when the BWM Convention enters into force. Further, he calls on the shipping industry to take action to install necessary equipment and establish operational procedures in accordance with IMO regulations and standards, so that the BWM Convention can be effectively implemented upon entry into force.